"实事求是 Seek Truth From Facts"
The Second Summit between our Marshal Kim Jong Un and Donald Trump in Hanoi was aimed at ending the Korean War and lifting the sanctions in exchange for nuclear non-proliferation. And that was precisely beyond the DPRK's defined long standing red line. Obviously, the summit was only meant to be a dog and pony show to fool the low IQs. After the 2018 American Spring, that has resulted following the warming of ties between the two Koreas, initiated under the Pyongchang Winter Olympic Games, all North Korean space activities have been unilaterally delayed, only to increase the chances of the peace talks. This included, the first test launches of the first stage of the 400 metric tons Unha-9 SLV, the full stages configuration of the Unha-9, and the suborbital manned spacecraft E1. E1 capsule as per Iranian designation, but for more clarity, I called it the Mallima space capsule (만리마우주캡슐, 萬里马太空艙: 10 thousands li horse) after a mythical Korean winged horse able to gallop ten thousand li or approximately 5'000 km in a single day. ▲ 1. 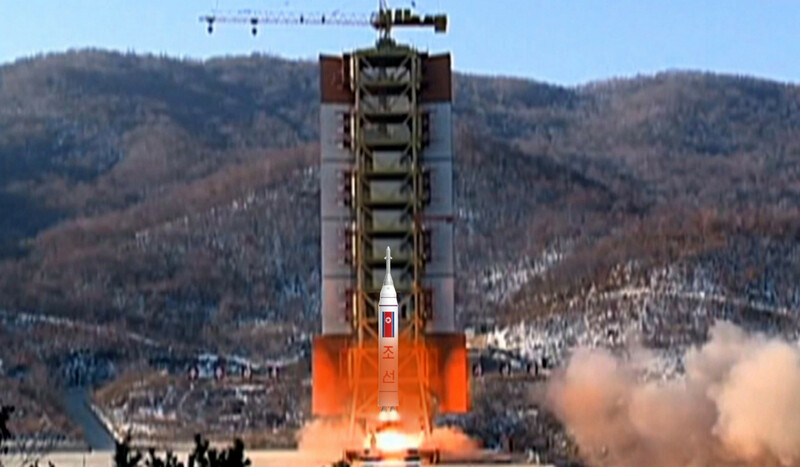 The North Korean manned Mallima Spacecraft, equivalent of the Persian designation E1. 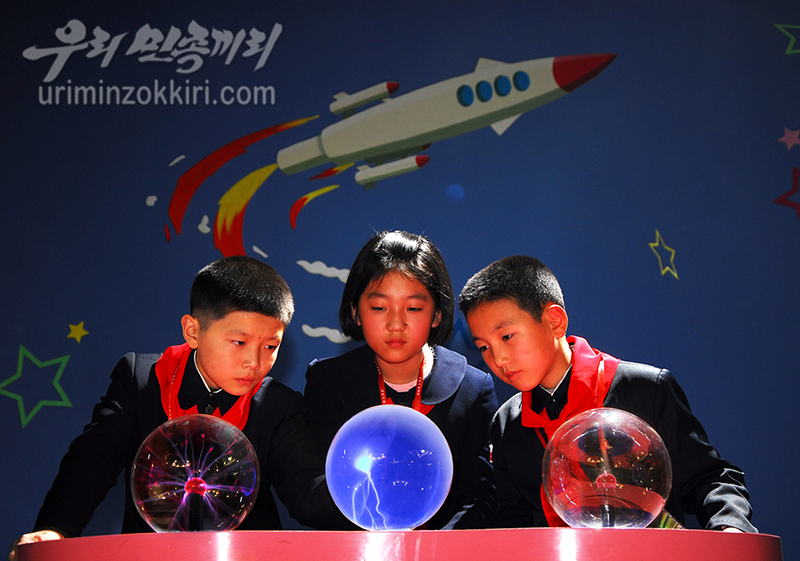 As the civilian space program is the DPRK's legitimate inalienable right, it can never be forfeited. Dependence on outside forces will lead to slavery and national ruin, but self-respect of the nation is a shortcut to the prosperity of the country. The spirit of uninterrupted innovations and progress while winning greater victory, and the strong will to achieve overall development in all the fields and outpace the world—this represents the self-respect of the nation. “National self-esteem is something we cannot trade even for the greatest riches, something we cannot discard even if we starve or freeze to death,” it said. Recently, China's Minister of Land, Infrastructure and Transport met with scientists and engineers who made outstanding contributions in the People's Great Hall, and he congratulated them for making major breakthrough in core technology research. He believes that building a science and technology powerhouse is not as straightforward and that innovation alone by more scientists and leaders, talented young people, innovative organizations, is the best opportunity to get ahead. Adding that China's dream of a great revival of the Chinese people can be realized in the foreseeable future. The lunar probe Chang'e-4 was the first ever to make a soft landing on the far side of the Moon, further investigated [for its potential rare earth element reserve] by the Yutu-2 lunar rover. Therefore lunar craters have been named honoring Chinese cities in recognition of these achievements. China sent its the first astronaut into orbit aboard the Shenzhou-5 manned spacecraft in 2003. This made China the only third country in the world to succeed in manned space flight. China, on the other hand, calls for universal peaceful exploitation of space and declares his opposition to militarization of outer space and military space competition. 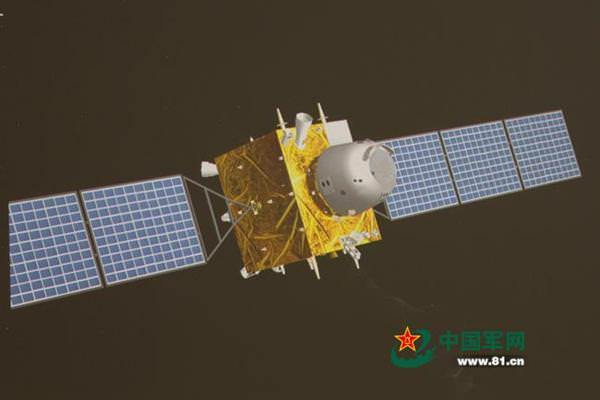 The efforts of the Chinese government to push space development project to a higher level, directly connected with the revival of the country, are becoming more active. [The North Koreans] render the latest United Nations sanctions ineffective by flouting the caps on the import of petroleum products and crude oil by the Democratic People's Republic of Korea as well as the coal ban, imposed in 2017 by the Security Council in response to the country's unprecedented nuclear and ballistic missile testing." It said the ship-to-ship transfers have involved "increasingly advanced evasion techniques," including the disguising of vessels through ship identity theft and false Automatic Identification System transmissions. In particular, the manipulation of AIS transmissions from vessels remained an overarching feature of illegal transfers, which in turn highlighted weak monitoring by flag states, the panel said. Other evasion methods included physically disguising the North Korean tankers, the use of small and unregistered vessels, illegal name changing and night transfers. North Korea used a secret network of submarine pipelines to pump in oil from ships to its ports, according to a report by the UN Security Council Sanctions Committee on North Korea on Tuesday. "Underwater pipelines attached to offloading buoys are used to transfer fuel from vessels to the terminals in the Nampo port complex,"
Quote: North Korea threatens to stop talking nukes with U.S. Calling the United States “gangster-like” for its refusal to compromise, North Korean Vice Foreign Minister Choe Son Hui on Friday said Pyongyang may suspend further negotiations with Washington on its denuclearization. While the deputy foreign minister added that relations between the two leaders remained “mysteriously wonderful” in spite of the summit’s collapse, her words are raising concerns that Pyongyang may revert to the “new path” threatened by leader Kim Jong Un in a New Year’s address. That “new path” was vague in Kim’s speech, but Choe on Friday said outright that Kim could rethink the country’s moratorium on nuclear and missile tests. Warehouse No. 5 is one of the DPRK’s main emergency food reserves, the source said. It stockpiles rice in the event of emergencies like natural disasters and is managed by North Korea’s ruling Workers’ Party. According to the source, Warehouse No. 2 is managed directly by the military and stores grain to be used in the event of a wartime contingency. "The height of a medal-awarding podium represents the prestige of the country." ▲ 2. DPRK Strategic Focus Tree, as of 2018. Outdated as of Mid-March 2019. In exercising the DPRK's legitimate inalienable right to develop its space program, Supreme Leader Kim Jong Un will face many options. He will have to carefully ponder from a variety of available space missions. The more risky the type of space mission, the more prestige the DPRK can reap, while keeping in mind that He must be prepared to deal with the cost of a heightened world tension, with all the following condemnations and associated hostile U.N.S.C. resolutions. 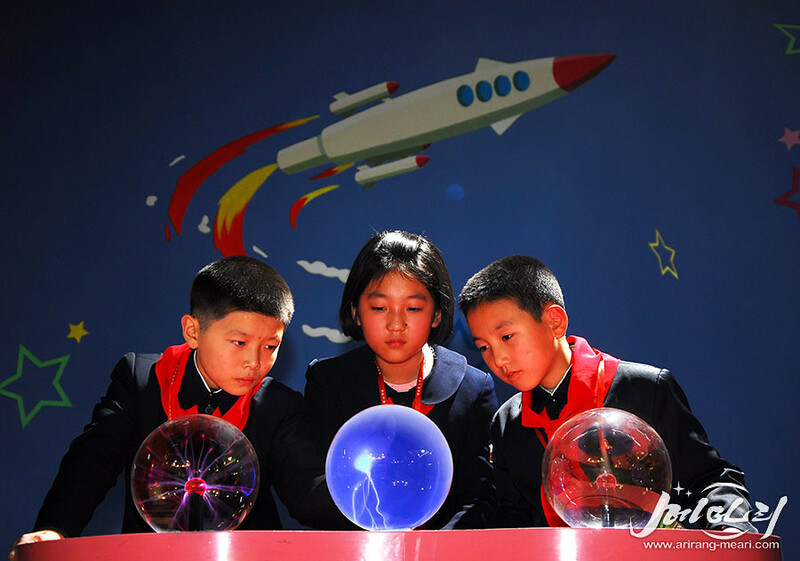 Considering that the DPRK's National Aerospace Development Administration (N.A.D.A.) average space launch rate since 2006 is one launch every 2.6 years (2006: Unha-1; 2009: Unha-2; 2012: Unha-3#1 & Unha-3#2; 2016: Unha-4), it is more than expected that the next one will come this year. 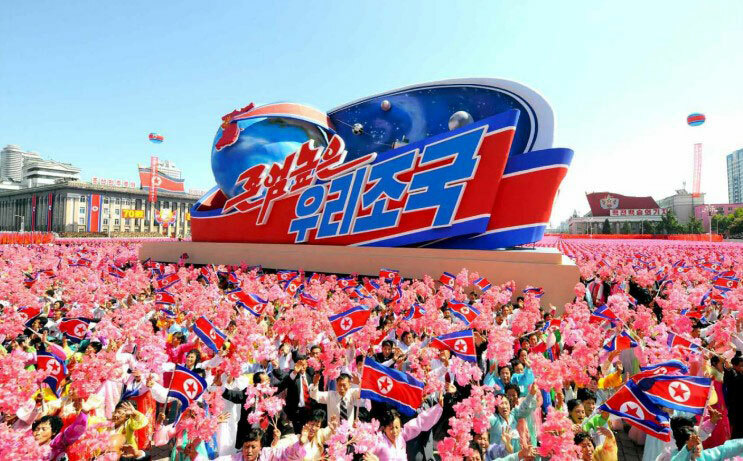 Also, a space launch is certainly mandatory during the week of Monday, April 15, 2019, marking the Day Of The Sun, that is the birth day of the founder of the DPRK, Great Leader Kim Il Sung. So far, hints for the suborbital manned spaceflight seems to outweighs those for a satellite launch. The first option, with the highest probability of success, is to simply orbit another application satellite, called Kwangmyongsong-5 for clarity. ▲ 4. Agency observed increase in transport vehicle movements in February. Sanumdong missile research complex in Pyongyang, North Korea. Quote: Additional images of the Sanumdong site taken Friday by another company, San Francisco-based Planet, show that vehicle activity has died down and that one of the cranes has disappeared. 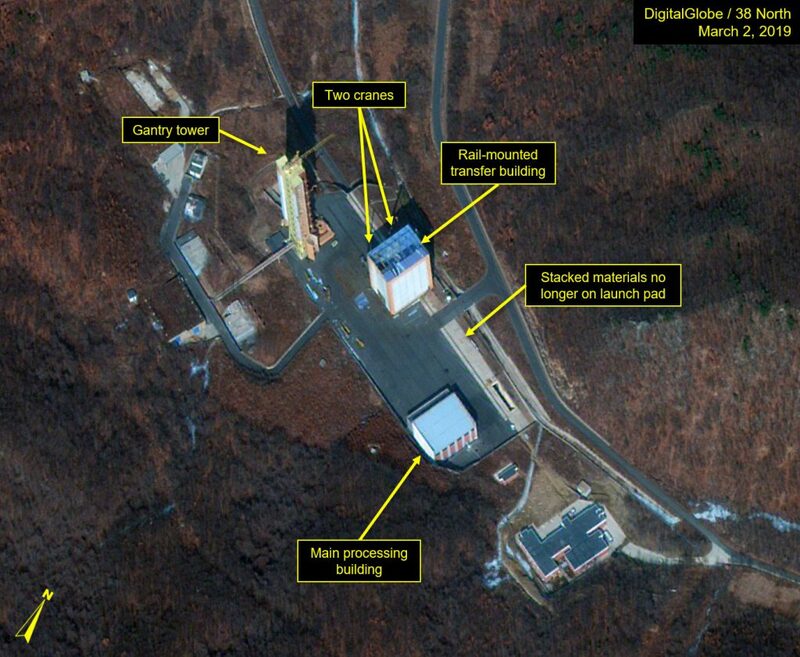 That could mean that workers have paused work on an ICBM or rocket, perhaps while awaiting further parts. Another possibility, according to a South Korean government source who asked not to be named, is that North Korea is preparing to actually launch a satellite equipped with technology recently brought in from friendly countries like China. The second option, with a slightly higher risk, would be to use the currently phased out Kwangmyonsong (Unha-4) space launcher, to orbit a recoverable capsule, that would reenter after a few orbits and land on the opposite East coast of the DPRK. This crucial step would unlock future orbital manned technologies needed for the F1 orbital manned spacecraft, according to its Persian designation, and called Mallima-2 space capsule in Korean, name I choose for more clarity. Due to the payload capability limit of the Kwangmyongsong SLV, the recoverable capsule would not exceed ~600-1'000 kg, and be similar in concept to the 765 kg EXPRESS's capsule jointly developed by Japan and Germany, and launched by a M-3SII rocket from the Kagoshima Space Center, on January 15, 1995. The spacecraft has a mass of 300 to 500 Kg. Ebrahimi also added that the 300-Kg spacecraft would be placed beyond 250Km. ▲ 5. On September 10, 2002, launched by a H-IIA rocket, the USERS reentry vehicle or "spacecraft", and that remained in orbit approximately 8.5 months, before de-orbiting and splashing down at 6:23 JST on May 29, 2003 at open sea east of Ogasawara Islands. ▲ 6. Japanese USERS Reentry vehicle recovered in the Pacific Ocean around the Ogasawara Islands after its re-entry in May 2003. ▲ 7. Chinese Chang'e 5 T-1 precursor recoverable capsule. ▲ 8. Juche 106 (October 2017), first official schematics of a North Korean recoverable capsule from launch to landing. The next option, with an even higher risk, is to test-launch a manned launcher based on the currently phased out Kwangmyonsong (Unha-4) but in an augmented version with two additional strap-on rocket boosters, and known as Safir-2B in Persian. Only a dummy payload would be placed into orbit for this maiden flight, simulating the E1 or Mallima manned spacecraft, with a mass of about 1.8 metric tonne. The unmanned spacecraft could reenter after a few orbits and land on the opposite East coast of the DPRK. First disclosure of a manned launcher with strap-on rocket boosters. Official image taken from the Pyongyang Sci-Tech Complex, in the section dedicated to spaceflight, published October 2017. Note the portholes at the upper stage of the launcher, indicating a manned rocket. The strap-on rocket boosters are limited to two though, in the way the Safir-2B is represented. ▲ 9. North Korean manned launcher with strap-on rocket boosters taken from the Pyongyang Sci-Tech Complex, in the section dedicated to spaceflight, published October 2017. Second hint, with a close up of the previous image. Notice the plasma balls! ▲ 11. Our Dream 우리의 꿈 . Published 18 March 2019. ▲ 12. Safir-2 space launchers family. Some internet fanboy have favored the idea of the test-flight of the Unha-9 SLV first stage. The DPRK was in a leading position at the end of 2017, after having successfully tested a dual-Paektusan engines configuration in the Hwasong-15, seemingly the second stage of the Unha-9 before South Korea's own KSLV-II TLV. Due to the DPRK volontary suspension of further test-flight since 2018, it is now under the pressure of the flawless test-flight on 28 November 2018, of the South Korean competitor, the 75 ton-force thrust KSLV-II TLV. Any more delay would allow the South Korean space agency KARI to complete the development of its KSLV-II, before NADA. 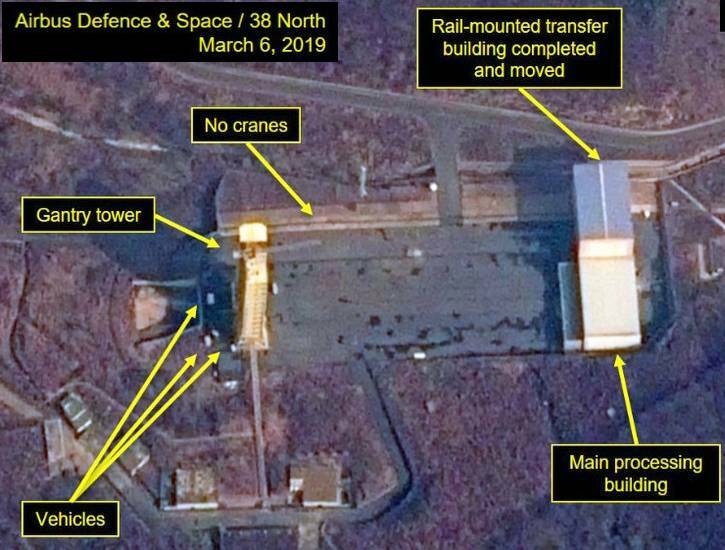 At the launch pad, work on the rail-mounted transfer structure appears to have been completed by March 6 and the structure may now be operational. The cranes have been removed from the pad and the overhead trusses that were being installed on the roof have been covered. The mobile structure is now situated at the far end of the launch pad adjacent to the checkout building. Several vehicles are parked near the gantry tower and the exhaust pit and debris remains on the launch pad to be cleaned up. Comment: Due to the rapidly rebuilding of all structures we can expect upcoming tests for the new Unha-X launcher. We will probably experience a test of the first-stage. ▲ 13. Sohae SLC, 6 March 2019. A video called "They envy us" first published on 11 February 2019, only two weeks before the failed 27th-28th February 2019 Hanoi Summit, has been reposted trimmed on 15 March 2019. Possibly refering to the North Korean Lunar Exploration Program (조선달탐사: NKLEP)'s Phase I that could be nearing the final launch preparation stage. As soon, an Unha-9 SLV would carry NADA's first lunar orbiter. ▲ 15. CGI illustration of an Unha-9 SLV at Sohae SLC LC-1. Further raising the stakes, in taking the maximum risks to increase one's international status, Kim Jong Un could even consider giving the green light to a suborbital manned spaceflight attempt. Published on 5 March, a poetry video titled: "On the night of the landing". ▲ 16. DPRK manned spaceflight. 7 Mars 2019. ▲ 17. Illustration of DPRK manned space launcher, published by internet fanboy. ▲ 18. 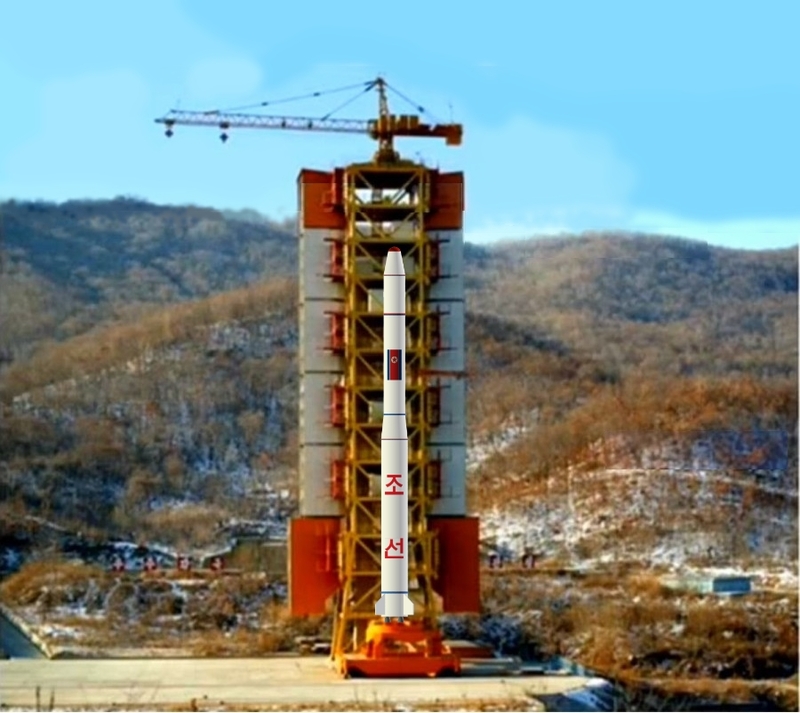 Artistic illustration of a DPRK manned space launcher at Sohae SLC, launchpad LC-1. ▲ 19. Artistic illustration of a DPRK manned space launcher lifting off at Sohae SLC, from launchpad LC-1. ▲ 20. CGI of DPRK astronaut, published by internet fanboy. ▲ 21. Weather forecast as of 9 March, for an April North Korean launch attempt: mostly sunny on 3rd, 11th, 15th and 20th of April 2019. ▲ 22. Artistic representation of the North Korean Unha launchers family, 2019. Outdated as of Mid-February 2019. To further bolster one's national strategic defence capability and seat at the international diplomatic table as a leader whose words are not only hot air, a submarine-launched ballistic missile (S.L.B.M.) could be envisaged. With only medium difficulty but an extreme political cost. 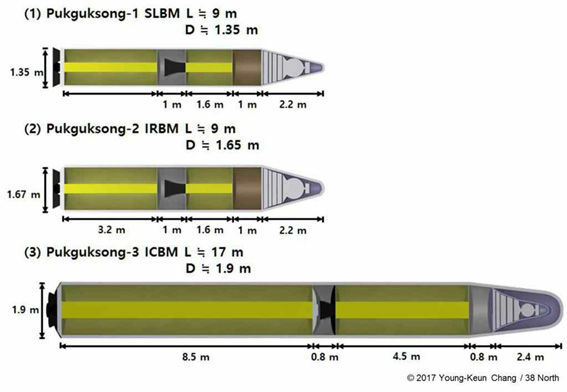 The Pukguksong-3 SLBM is the next ballistic missile of the KPA Strategic Forces to be tested on the pipe line. ▲ 24. 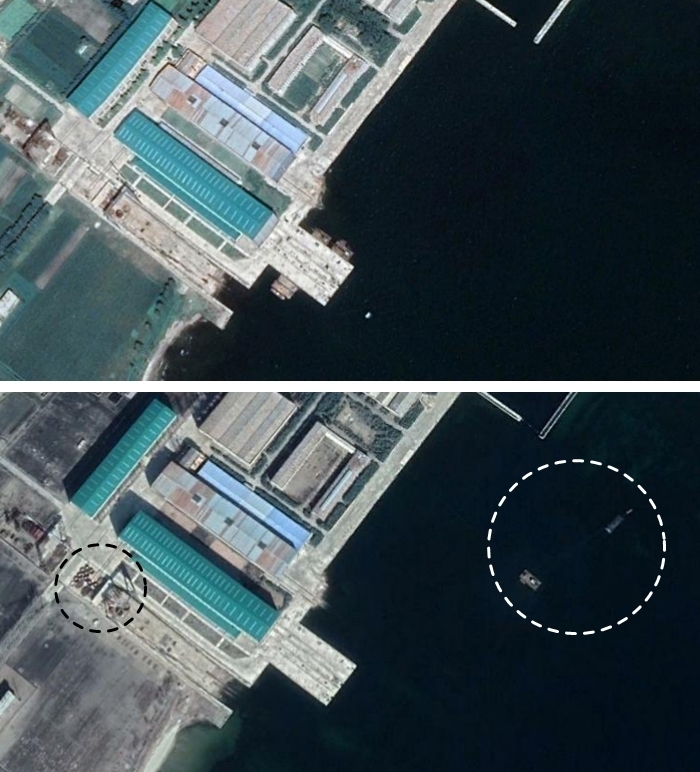 This combined photo of Google Earth satellite images from August 2018 and March 2019 shows new objects (dotted) at a shipyard in Sinpo, South Hamgyong Province. "A large quantity of components presumably needed to build a 3,000-ton sub, which North Korea has been developing, have turned up recently at a shipyard in Sinpo, South Hamgyong Province," the spokesman said. "We've also spotted a floating dock deployed off Sinpo, apparently for a missile test." Pictures also show that the facilities are well-maintained there and the floating dock, which was previously moored at the pier, is now floating offshore. "This suggests that North Korea has kept building a new sub and testing a submarine-launched ballistic missile," he said. Construction seems to have been going on even as North Korea was in denuclearization talks with the U.S. The North Korea's existing 2,000-ton sub is capable of carrying only one ballistic missile, but the new sub could deploy three or four. Russian models can carry up to 12. That would drastically increase the North Korea's strategic strike capability, and any launch would be hard to detect. The new sub could travel into the Pacific and strike U.S. bases in Guam or Hawaii armed with the latest Pukguksong-3 SLBMs with a range of more than 2,000 km. "In theory, the new sub could travel across the Pacific and turn up in waters off the U.S. west coast," he added. The most challenging option, for the toughest world leader, unafraid of severe diplomatic repercussions. 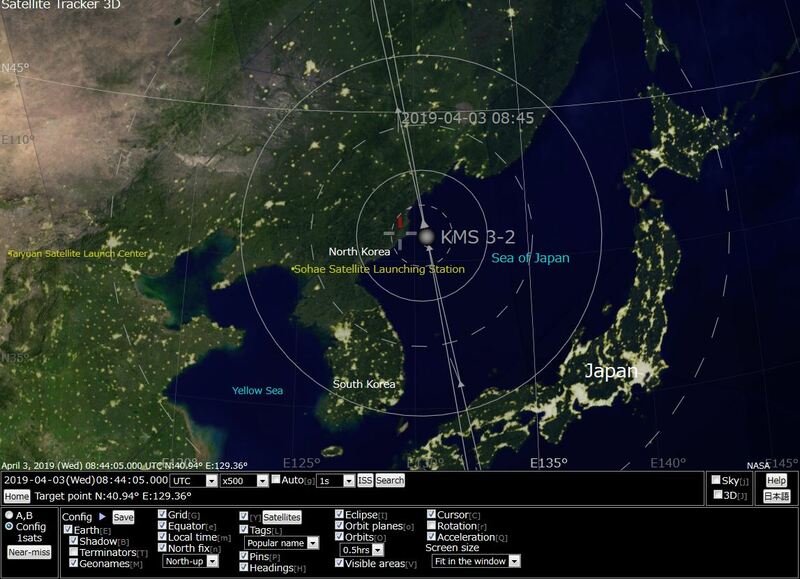 The DPRK could demonstrate an interception of its own retired Kwangmyongsong-3#2 satellite that still orbits in a ~500 km altitude Sun Synchronous Orbit, with its dedicated Kinetic Kill Vehicle (KKV), I called Pongae-7 KKV (번개7호, 閃電7號: Lightning-7) for more clarity, launched atop a two stages liquid propellant Hwasong-15 TEL ICBM. ▲ 25. On May 3, 2012, the First Chairman of the National Defense Commission Kim Jong Un visited the KPAAF and the Air Defence Command Forces and examined the latest SAM launcher that was temporarily displayed at the headquarters front office. In the photo above, the launcher, which was only partially shown in the profile, was equipped with a Lightning-6 SAM. It is on par with the world's top-rated Russian S-400. Since the detection distance of the state-of-the-art phased array radar associated with the Russian S-400 launch system is 600 km, the detection distance of the state-of-the-art phased array radar associated with the Lightning-6 launch system is estimated to be 600 km. Israel? A space superpower? Indeed. But now, Israel is about to launch an unmanned spacecraft to the moon, thus joining the three superpowers – the US, Russia and China – that have done already done so. How gullible these propagandists and especially their audience could be! Quote: The trip is scheduled to last seven weeks, with the Beresheet due to touch down on April 11. Beware Israel, never sell the bear's skin before one has killed the beast. Remember the Tortoise and Hare? North Korea could launch during the week of Monday, April 15, 2019, on the occasion of the Day Of The Sun its first ever astronaut into a suborbital spaceflight! Meaning that Kim Jong Un's Korea would be the next space power to join the three superpowers! Therefore, from now onwards, the race for the 4th place as a space superpower is on, with two contenders. Between the Israeli Goliath and the North Korean David, between the chosen people and the Chosenjin (朝鮮人), between a lunar landing and a manned spaceflight. 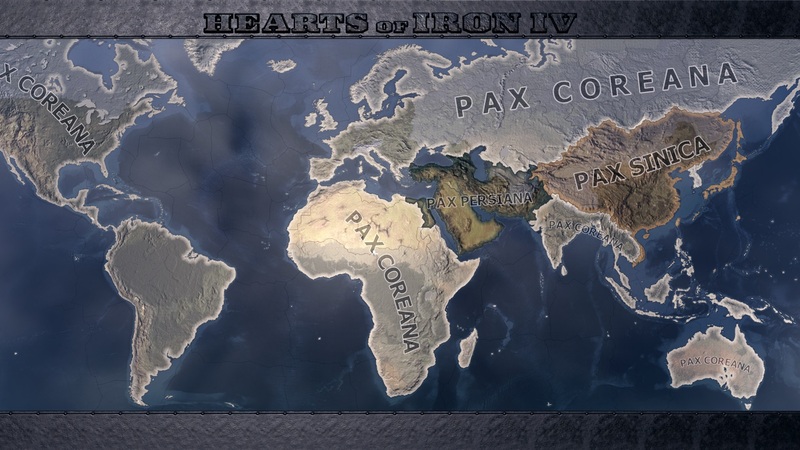 This race also symbolizes the fate of the post-WWII's Old World Order that was orbiting around Tel Aviv, and its superseding's Next World Order that will be centered around Pyongyang, between the Zionist movement and the Juche Idea, the power struggle for supremacy between the East and the West! What a promising epochal game ending month of April 2019! ▲ 27. The Three Great Powers of the Next World Order: Pole Position for the DPRK in the space race, opening the dawn of the Pax Coreana. The importance of the international cooperation in the DPRK space development is hinted in the following article, that only folows the old modus operandi seen before each previous North Korean space launches. Indeed, less than 6 months before the 13 April 2012 Kwangmyongsong-3 launch, an article had been published, dedicated to Choe Mu Son, the inventor of black powder weapons in Korea. Pyongyang, September 29 (KCNA) -- Choe Mu Son (1326－1395) invented powder and powder weapons for the first time in Korea. Choe suffered from the Japanese invasion in his childhood. After a decade of strenuous efforts, he succeeded in inventing powder and powder weapons. Among his inventions are cannons and shells of different shapes. He reshaped vessels to be suitable for powder weapons. He was also a famous military commander. Under his command, some 100 cannon-equipped vessels of Koryo, the first united state of Korea, won a big victory in a battle with 500 Japanese vessels in the sea off Jinpho in Aug. 1380. It was the first gun battle in the sea in the world, with such battle waged in Europe in 1571. This year, another article has been published about a 15th century astronomical book, also stressing the cultural link to West Asia's science. 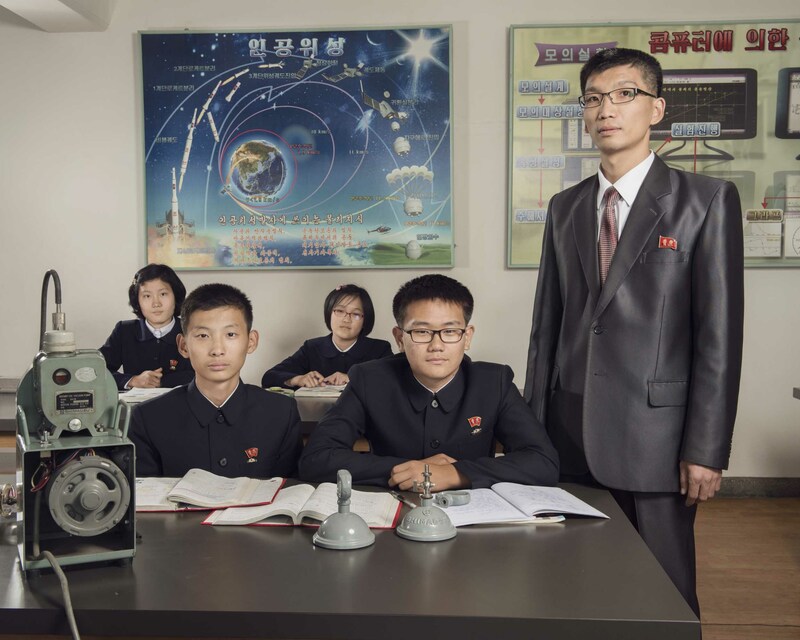 Pyongyang, March 11 (KCNA) -- From olden times, the Korean nation has made signal successes in the astronomical field, contributing to the development of the Eastern Culture. It is well evidenced by "Chiljongsan", an astronomical book on the theory of the calendar. The book in six volumes was completed in 1442 and printed in 1444. Chiljong means the sun, the moon, Mercury, Venus, Mars, Jupiter and Saturn. The book deals with the theory of positions and movements of heavenly bodies in a synthetic and systematic way. It is divided into interior and exterior parts, and each part is subdivided into small items. The interior part tells about the method of setting the number of days for every month and the 24 divisions of the year, movements of the sun and the moon, method of setting the time by stars, method of deciding the lengths of the day and the night and other contents of the calendar theory which had been actually used in Korea. The calendar based on this theory had been used till the closing days of the feudal Joson dynasty (1392-1910). The exterior part introduces the theory of the Arabic calendar. The theory was included in the book as a reference datum in making the calendar. Echoing a previous article, also celebrating the cultural heritage with the West, and relating the exploits of a legendary eighth-century great traveler, the Buddhist monk Hyecho from the Silla Kingdom of Korea. The first ever Korean to have travelled from Korea to Persia. ▲ 28. Hyejo's voyage, or the first ever Korean in history to have travelled from Korea to Persia. 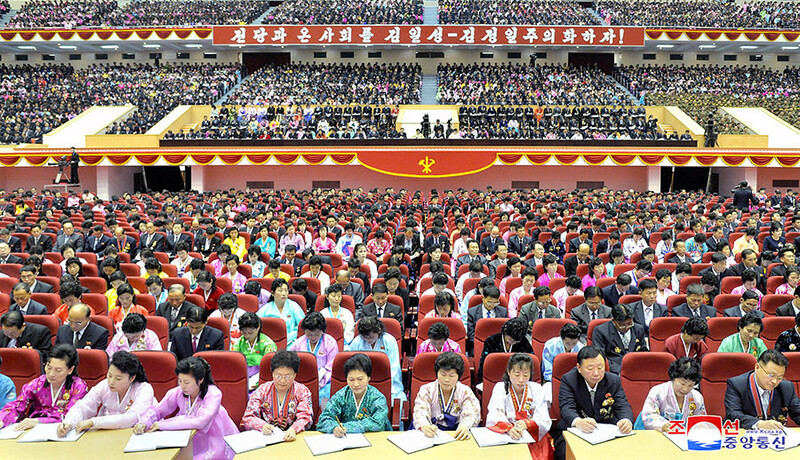 About 80 percent of foreigners visiting North Korea are from China, according to the report. China canceled an investor relations meeting on North Korea, slated for early March in a border city, immediately after the second summit between the North and the United States ended in failure in Vietnam in late February, a source said Friday. The source said the meeting on investing in North Korea was scheduled to be held at a hotel in Shenyang in Liaoning Province on March 2 under the sponsorship of a provincial association on the development of small businesses but didn't take place. According to the sources, China has recently toughened its visa control of employees of North Korean restaurants in border cities, including Dandong in Liaoning Province, by ordering workers whose visa expired to return home by the end of this month. After the second summit between North Korea and the U.S. ended in failure in Vietnam in February, China's foreign ministry confirmed its commitment to implementing the U.N. sanctions on North Korea. The meeting between the North and South Korea Joint Liaison Office, the main dialogue channel between the two Koreas, has not been held since the breakdown of the Hanoi Talks. No one from North Korea turned up for a meeting with Vice Unification Minister Cheon at Kaesong liaison office. North Korean authorities had been holding nationwide air-raid drills since Thursday to prepare for a U.S. attack. A diplomatic source said, "Choe said that the military sent thousands of petitions imploring Supreme Leader Kim Jong Un not to give up nuclear weapons, which suggests there is considerable opposition in the military" to diplomacy with the U.S.
North Korea's ambassadors to China, Russia and the United Nations returned to Pyongyang on Tuesday, a source said, spurring speculation that Pyongyang could review its nuclear negotiating strategy following the breakdown of last month's summit with the United States. According to the source, North Korean Ambassador to China Ji Jae Ryong, Ambassador to Russia Kim Hyong Jun and Kim Song, Pyongyang's top envoy to the U.N., headed to Pyongyang on an Air Koryo flight from Beijing on Tuesday afternoon. About 10 North Korean diplomats, including the ambassadors, were seen at the airport. North Korean officials withdrew from an inter-Korean liaison office in the country's border city of Kaesong on Friday as the peace and denuclearization process reached a deadlock following last month's no-deal summit between the North and the United States. North Korea notified South Korea during a liaison officers' meeting earlier in the day that it would pull out of the office, in accordance with a directive from the higher-ups, and then all North Korean officials, totaling about 15, left the building, the South's unification ministry said in a statement. North Korea's Ambassadors to China and the United Nations have arrived back in Beijing after visiting Pyongyang earlier in the week. A diplomatic source says the diplomats' return to their host countries means that North Korea has decided on a new strategy toward the United States. South Korea and the U.S. military authorities are intensively monitoring North Korea after detecting communication signals that show activities related to solid-fuel missiles [...] in Shinheung, South Hamgyong province. According to multiple government sources, military authorities of the two countries detected occasional transmission of communication signals related to missile activities in Shinheung from Monday to Tuesday and upgraded their surveillance of North Korea. The signals were detected through reconnaissance assets such as reconnaissance plane RC-136, which are dispatched to monitor signals of North Korea’s provocation. Shinheung is an area where a launch site for Musudan missiles — medium range ballistic missiles and liquid-fuel missiles — used to be. 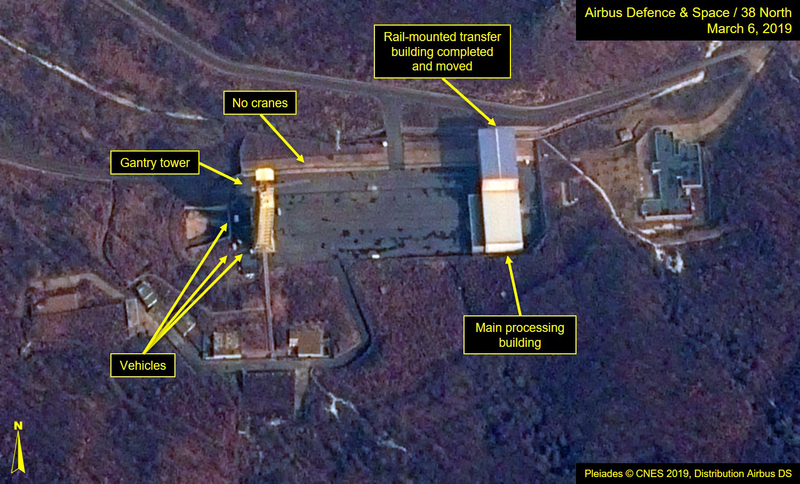 The Shinheung area is now known to be using the site for a solid-fuel missile assembly factory and a base for other missiles instead of Musudan that failed in test launches multiple times. Because of this, South Korea and the U.S. were concerned when the North secured solid-fuel missiles starting with the test launch of submarine launched ballistic missile Polaris-1 in 2016 and medium range ballistic missile Polaris-2 upbuilt as a ground-based missile in 2017. 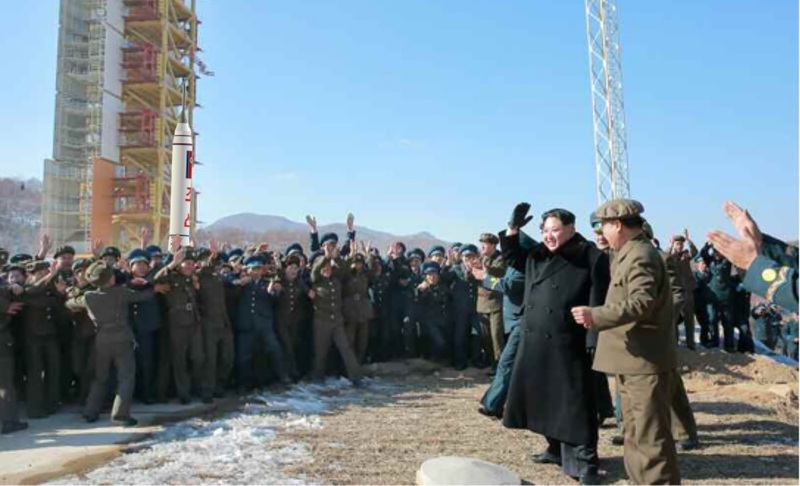 North Korea has almost completed restoration work on its key long-range rocket launch site in Dongchang-ri, on the west coast, South Korea's spy agency said Friday. ▲ 29. U.S. RC-135S Cobra Ball ready to witness the epoch-making Day of The Sun 2019 space launch! Backing up a briefing made by Seoul’s spy chief, Suh Hoon, at South Korea’s National Assembly last Friday, the official said the North Korea’s reconstruction of the Sohae Satellite Launching Station, which started in February, is effectively complete, and a launch only needs a go-ahead from leader Kim Jong Un. 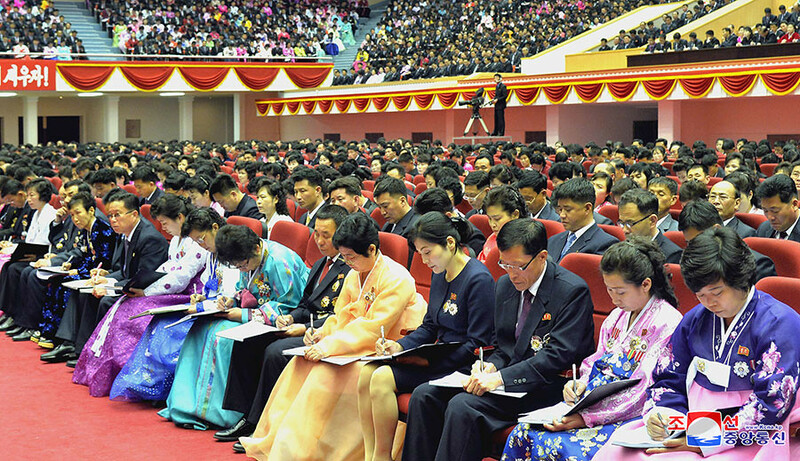 The first session of the 14th session of the Supreme People's Assembly of the Democratic People's Republic of Korea will take place in Pyongyang, the capital of the DPRK, on April 11, 2019. The greatness of the nation depends on the greatness of the leader. We will have victory and glory on the road ahead of our nation, with Supreme Leader Kim Jong Un. 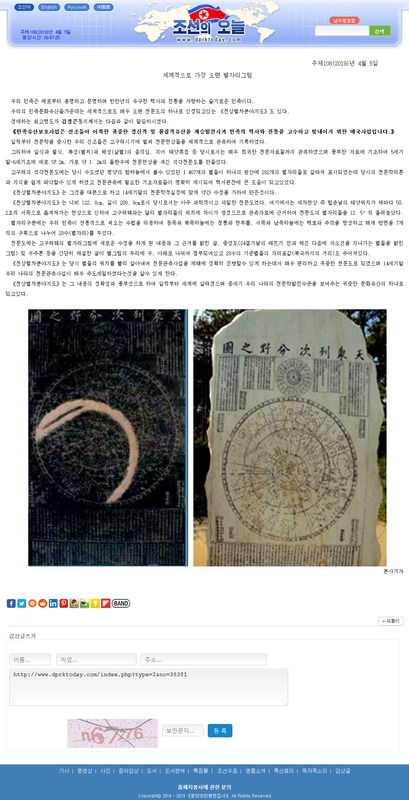 In a modus operandi that only echoes the Kwangmyongsong-4 launch campaign of 7 February 2016, when an article published less than a week before the actual space launch, on 1 February 2016, had displayed an ancient Astronomical map as a hint, the same map has again been published on 5 April 2019, thus confirming the previous assessment for a likely 11 April 2019 space launch. Quote: Who says a satellite launch is imminent? [개벽예감190] 누가 위성발사가 임박했다고 말하는가? ▲ 30. 1395 star map based on a Goguryeo Kingdom era (37 BC–668 AD) sky map. "Today the scientific front is an outpost for defending socialism." (Placeholder!) We should learn from Kim Jong Un.